I don’t know a lot about Fate/Stay Night, a 2004 adult visual novel about stylised historical figures battling over the Holy Grail that spawned an anime, manga and video game empire. 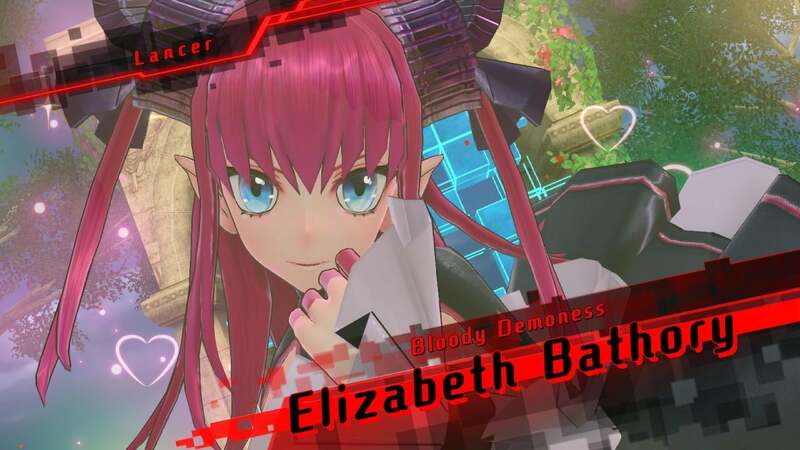 But I like over-the-top anime nonsense, and Marvellous’ Fate/Extella Link has that in spades. In proper anime style, the story of Fate/Extella Link takes a bit of explaining. The game is the fourth in a series that takes place in the Fate/Extra universe, which exists in parallel with the Fate/Stay Night universe. 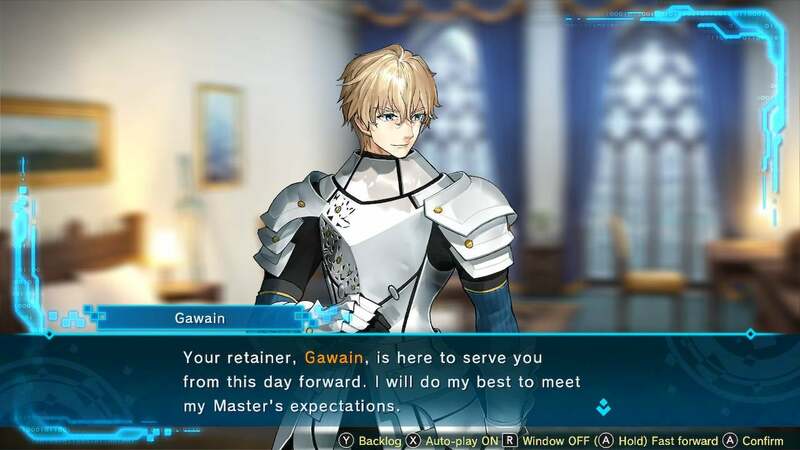 Instead of being based on magic like the original universe, Fate/Extra takes place in the future, where the last vestiges of humanity escape a ravaged Earth by uploading their consciousness into the virtual world of SE.RA.PH. Historical figures and the masters who control them battle with computer code for control of the Holy Grail, AKA the Moon Cell supercomputer. It’s a whole big thing. 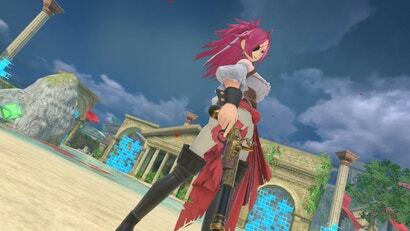 For example, this is Francis Drake. Historically, it’s Sir Francis Drake. 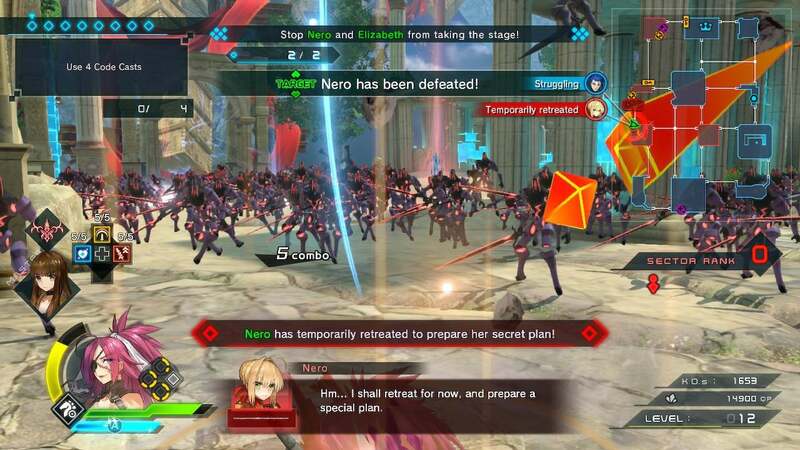 Here, in the virtual world of Fate/Extella Link, it isn’t so clear cut. Each of the game’s 26 servants, the slightly twinge-y name for indentured historical warriors, has their own super attack sequence. Not only are they visually stunning, they’re also a wonderful time to put down the controller, eat a couple of chips, and grab a beverage. Tiny breaks are important when you’re playing a musou game, with their endless hacking and slashing through swarms of inconsequential fodder. Fate/Extella Link is a pretty standard example of the genre. Each mission starts off on a map with rooms either coloured blue for allies or red for enemies. Players move their chosen servant from room to room, defeating specified enemy commander types in order to claim the room for their side. 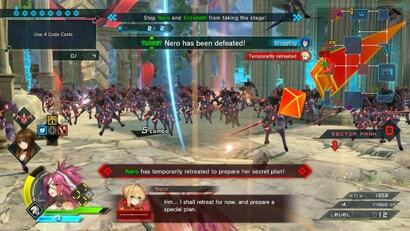 Sometimes allied units will get in trouble on the other side of the map, or powerful enemies will appear, requiring the player to shift their attention towards flashing map icons until they can clear up whatever mess has popped up. But mainly it’s going from room to room, spamming special attacks and building up the energy to wipe out the pirate fleet, or the spinning swords, or the nuclear-level explosion. It’s a lot of fun. I even got to beat up everybody’s favourite historical Chinese general, Lu Bu. Fate/Extella Link isn’t all fun and games. In between missions there’s a ton of administrative work to perform. 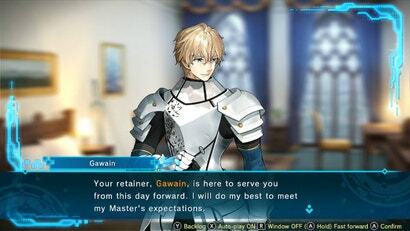 You have to manage which skills your servants use, assign them abilities, outfit them with special equipment, pay gold earned through gameplay to level up stragglers, and make sure they are wearing as stylish a costume as possible. Relationships must be forged by chatting with servants, raising bond levels to unlock new places to stuff more skills. All the maintenance can get a little exhausting, but it’s nothing a quick hop into battle won’t solve. Between story missions and extra side missions, there’s plenty of action to engage in. You can even dip into online multiplayer, in case you want to sit waiting for other players to join for a long time and then realise how badly musou combat works in a competitive multiplayer setting. Maybe don’t do that. 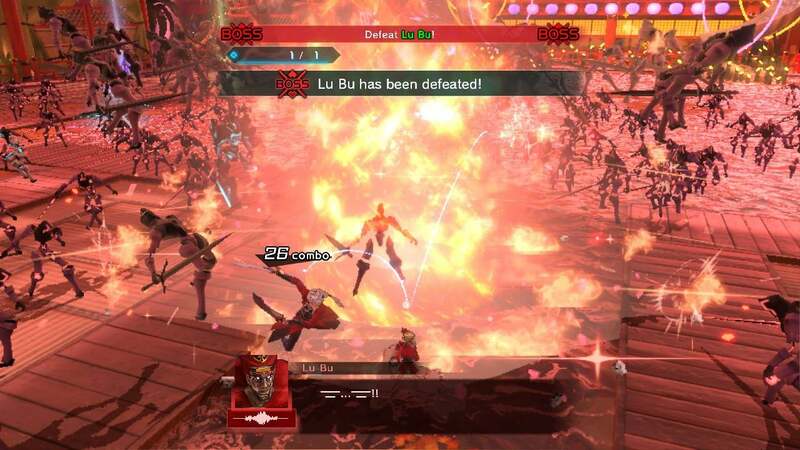 I played the previous game, Fate/Extella: The Umbral Star, but I almost wish I hadn’t. It was a much racier game, packed with egregious flirting, characters rubbing breasts against each other, that sort of thing. Hell, the collector’s edition even came with a breast-sporting mouse pad. Fate/Extella Link is downright tame in comparison. Plus, if I hadn’t played the previous game, I wouldn’t be as annoyed by the reused battle map textures in this one — there’s maybe one new battlefield type. After the turd sculpture that was Dynasty Warriors 9, this looks like it might be my new peasant murder simulator. And the original visual novel remains not in english. oh there's a fan version but, that one has... issues. It does? I've played it and I'd say it was pretty damn good for a fan translation - it's hard to be too harsh on them given it's about 100 hours of dialog they translated. I don't mean it negatively. rather that terms and definitions that seemed alright way back no longer fit quite as well. there's also arguments to made about official character names and such now that there is some level of english localisation. For instance, saber. Artoria to most. Officially it's Altria. it makes no sense in any context outside of it's cool to japanese people but, it's the official name for saber. Yet another series for which I'll be enjoying my first foray on the Switch. I just wish that this and Chocobo's Mystery Dungeon hadn't released so close together. Anyway, this looks like just the sort of game I can sink countless hours into. Countless hours I no longer have but will sacrifice sleep for.